New! 112 Westport Motor Yacht for Sale: NEW PRICE !!! New! 100 Rayburn Motor Yacht for Sale: SPLASH !!! 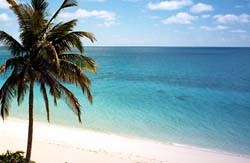 Let Ed find you a bit of Paradise. Update! New aggressive pricing on our 83' Hampton Euro 830! Details here! | Video Tour here! Update! Check out the virtual tour of our Hampton 650 Pilothouse here! Update!- 2012 62' Ocean Sportfish Yacht "Sea Dance" - New price! View listing here! Update!- New video on Hampton Yacht's stylish performer- the 830 Euro! More Details here! Ed Chapdelaine & Co. Yacht Marketing & Sales has been practicing the business of providing "access to paradise" for clients since 1979. Based on a solid foundation of ethics, knowledge of yachts for sale and a clear understanding that yachts are "tools for living life well", we take pride and pleasure in professionally assisting our clients to accomplish their goals and yachting objectives. 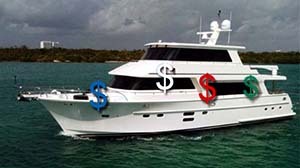 Besides specializing in providing the best of yacht brokerage services detailed below, we are also the factory representatives for Hampton pilothouse motor yachts and for the Endurance line of long-range cruisers (LRC's) built by the Hampton Yacht's Shipyard providing sales and service for the U.S. east coast. On the marketing side, Chapdelaine & Co. are experts in identifying the target market for a client's particular yacht. In order to secure a sale for the highest value possible we then advertise and aggressively promote the unique features and benefits of the client's yacht for sale to the exact target market for that particular vessel. We spare no effort or resource in gaining market exposure for a yacht or vessel listed for sale with Chapdelaine & Co. Our goal is and always will be to win for our clients the challenge of selling their yacht for greater value and, in less time than any of our competitors in the yacht brokerage business. As attested to by the client's testimonials found on these pages, a well-educated and thorough knowledge of the competition in the marketplace for yachts enables us to succeed for our clients at a high rate. Read about my adventures visiting the Hampton/Endurance Yachts Shipyard this past summer for the 2016 model Endurance 686 Sky-lounge LRC by Hampton Yachts during final inspections at the shipyard in Shanghai, China. If you're interested in buying a yacht to take you and your family and friends away and to places only accessible by water then, Ed Chapdelaine is well prepared to assist you professionally. By listening to you regarding your hopes, dreams and goals, and applying your needs to the actual choices existing in the market for yachts, I can assist you to buy and own the one best vessel for your cruising goals and yachting budget. Buying a yacht should be a fun and an exciting experience and I'll work hard to see that is the result. By putting my 37 years of experience in the yacht sales and brokerage business to work for you, you are assured of avoiding the many potential pitfalls that surround a yacht purchase. 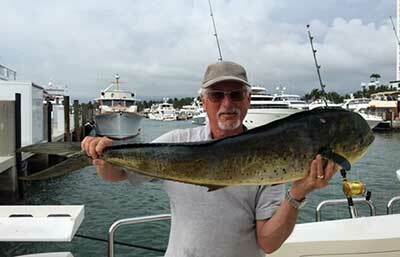 Who says that Hampton Yachts aren't for fishing? Contact Us today: We will protect your investment, work hard to keep the fun in "yachting" for you and look forward to assisting you professionally.